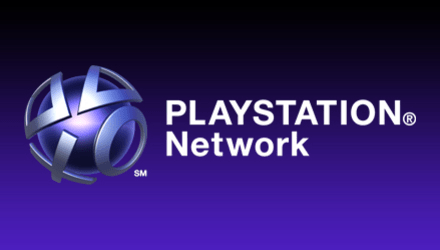 PlayStation 3 owners have a new reason to enjoy their consoles, as Sony Computer Entertainment America (SCEA) has begun offering HD new release titles from all the major studios on the PlayStation Network. Titles reportedly can be rented for around $5 and purchased for $18-20. 20th Century Fox Home Entertainment’s Night at the Museum: Battle of the Smithsonian, Jennifer’s Body and Fantastic Mr. Fox (on March 23); Walt Disney Studio Home Entertainment’s Up, G-Force and Earth; Paramount Home Entertainment’s Star Trek, Paranormal Activity and Zoolander; Sony Pictures Home Entertainment’s This Is It, 2012, District 9 and Zombieland; Universal Studios Home Entertainment’s Inglourious Basterds (from The Weinstein Co.), Couples Retreat and Public Enemies; and Warner Bros. Digital Distribution’s The Hangover, Harry Potter and the Half Blood Prince and The Wizard of Oz. Between its Blu-ray compatibility, Netflix’s already available streaming service and this latest offering, the PS3 is being positioned by Sony as a home entertainment powerhouse. Will its movie downloading/playing credentials expand the console’s audience further beyond traditional gamers? Will price-sensitive consumers shy away from paying $5-$20 for an HD rental or purchase? Tell us what you think in the comments. Will price-sensitive consumers shy away from paying $5-$20 for an HD rental or purchase? Yep. At least this one will! They didn’t have HD before? Not for streaming I don’t think. I don’t have one but I know people who do. You could stream high quality but not Full HD. Too Pricey for streaming though in my opinion. I would expect to pay upwards of 20$ for purchasing a Blu-ray, but not renting, and certainly not streaming. But for people who would go for it, this will make the PS3 a big deal again. Then if it get’s some good games (like comparable or better then the 360’s) they will be on top of the home entertainment market.